This entry was posted in 2007, Reviews and tagged Dearbhla Molloy, inappropriate behaviour, John Patrick Shanley, Nicholas Kent, Nikki Amuka-Bird, Padraic Delaney, Pulitzer, religious parable, Tony award winner, Tricycle Theatre, UK premiere on September 13, 2017 by Carole Woddis. 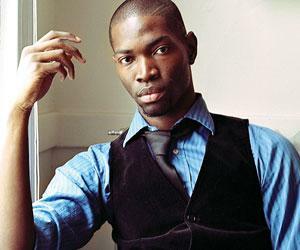 This entry was posted in 2007, Features, Interviews and tagged 2017, African-American, screenwriter for Moonlight, Tarell McCraney, The Stage, Young Vic on February 11, 2017 by Carole Woddis. This entry was posted in 2007, Reviews and tagged Arms to Iraq, Bloody Sunday, Iraq War, Nick Kent, Richard Norton Taylor, Stephen Lawrence, Tony Blair, tribunal theatre, Tricycle Theatre on October 27, 2015 by Carole Woddis.